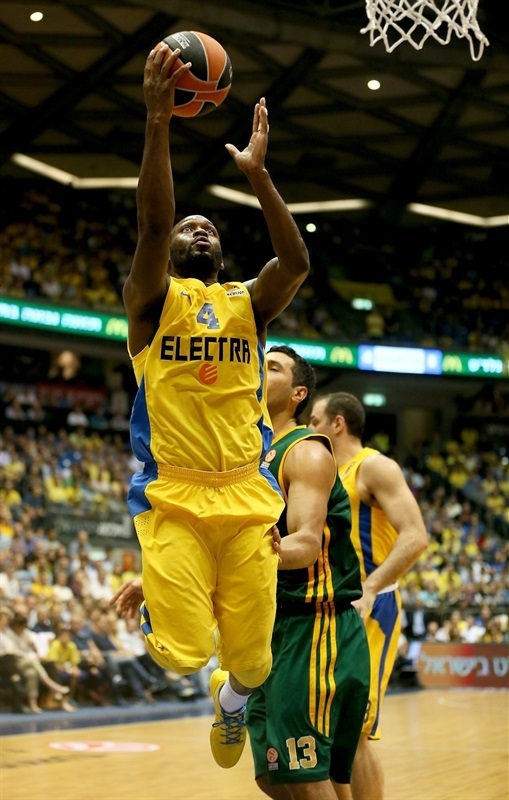 Reigning Turkish Airlines Euroleague champion Maccabi Electra Tel Aviv opened the defense of its title with a 92-76 victory at home over Limoges CSP in Group B. Jeremy Pargo collected 20 points and nine assists while Devin Smith had a double-double at halftime already, and ended with 13 points, 12 rebounds and two blocks for Maccabi. Marquez Haynes added 15 points, while Sofoklis Schortsanatis had 11, Brian Randle 10 and Guy Pnini chipped in nine points, four assists and three rebounds. Maccabi, which made 9-of-19 three-pointers, pulled away from Limoges for good at the end of the third quarter with a 21-7 run over the final 3:46 minutes of the period. Limoges was unable to take advantage of a 19-3 advantage in offensive rebounds, and made just 8-of-29 three-pointers in taking the loss. Adrien Moerman picked up 17 points and 12 rebounds while Joao Paulo Batista had 15 points, Jamar Smith scored 14, and Leo Westermann tallied 10 in defeat. 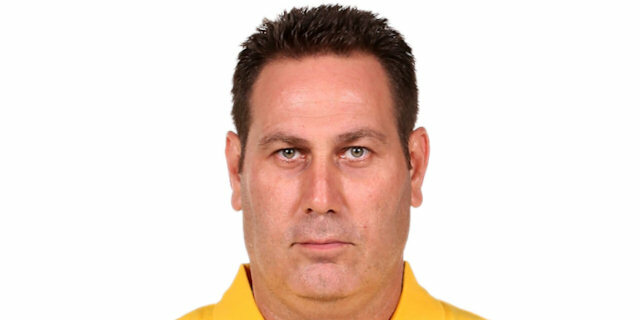 Maccabi’s new boss Guy Goodes played with the starting five of Pargo, Yogev Ohayon, Randle, Devin Smith and Aleks Maric. Limoges coach Jean-Marc Dupraz meanwhile started with Westermann, Pape Philippe Amagou, Moerman, Nobel Boungou-Colo and Frejus Zerbo. 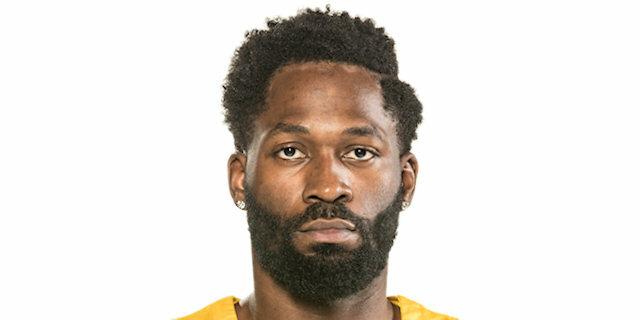 Zerbo scored the first basket of the season for Limoges on a dunk, and was matched at the other end on a dunk by Randle. After Moerman’s basket, Devin Smith nailed a three-ball from the right corner and then a jumper off the glass for 7-4 Maccabi lead. A Westermann jumper evened the game at 8-8 before Devin Smith’s second trey from the right corner made it 11-8, with the veteran having scored nine points already. Moerman scored on a nice move inside and then Jamar Smith evened the contest at 13-13 on a free throw after a technical foul. 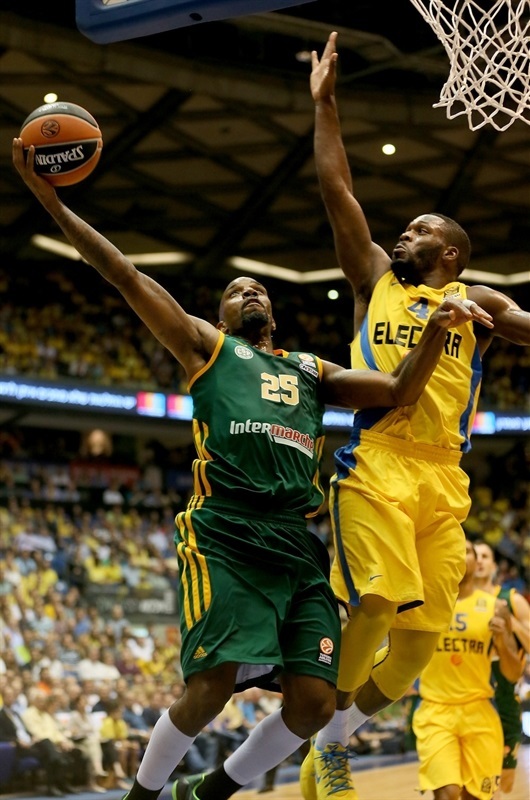 The advantage was three points after free throws by Schortsanitis and Sylven Landesberg and it was 18-15 after Maric converted a layup off an assist from Pargo to put Tel Aviv up 18-15. Ousmane Camara knocked down a jumper and Batista got a hook shot to fall for an 18-19 Limoges lead. 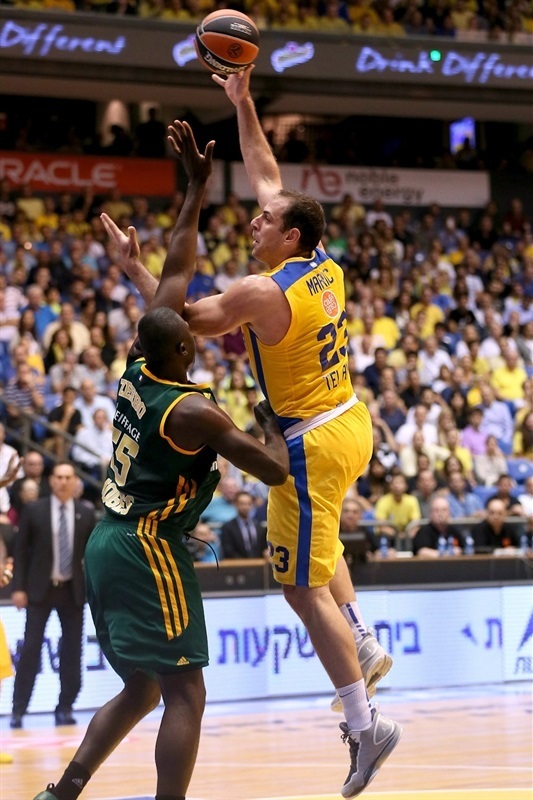 Pargo answered right back with a three-ball from the left wing as Maccabi led 21-19 after one quarter. A Landesberg jumper to start the second quarter was followed by a Batista jumper off the glass before the hosts went on an 11-0 run with Pargo hitting three layups and Landesberg draining a triple from the right corner as Maccabi was up 34-21. 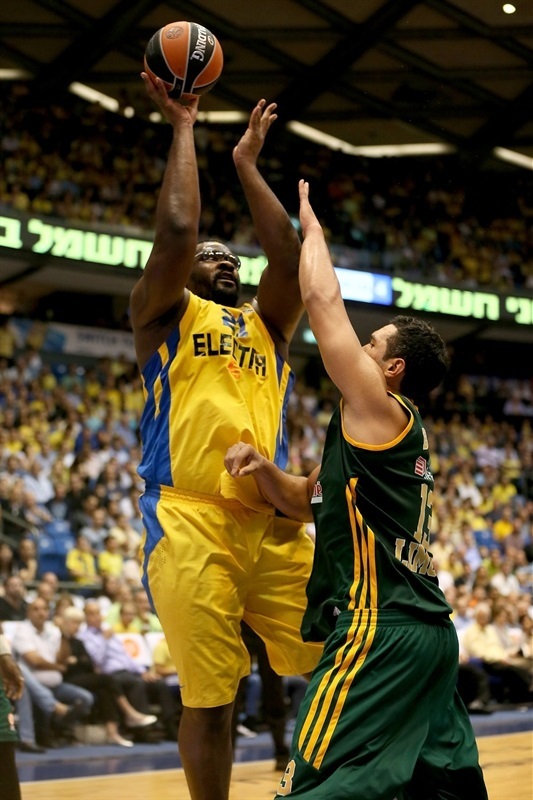 Jamar Smith stopped the bleeding with a very long three-ball before Maric scored for a 40-28 Maccabi cushion. After Jamar Smith and Moerman baskets, Westermann took charge with a driving layup and a three-ball from the right side to bring Limoges within 40-37. 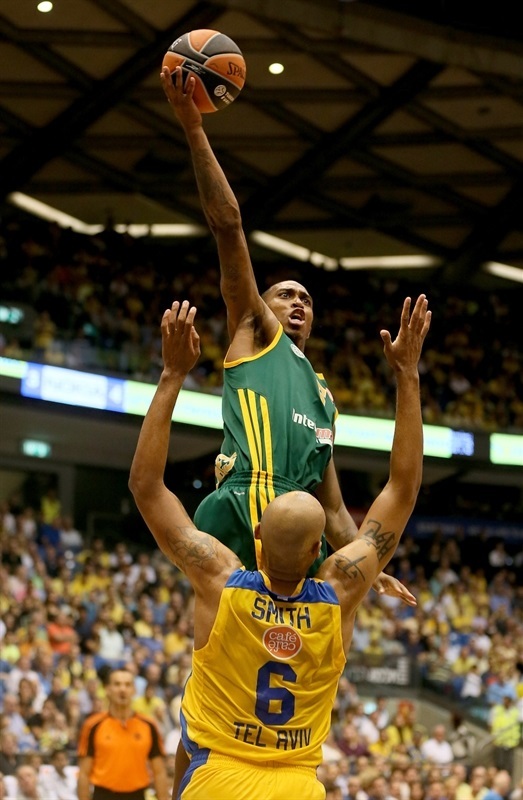 But Pnini made a layup, before Devin Smith added one more foul shot as Maccabi went into the locker room ahead 44-37. 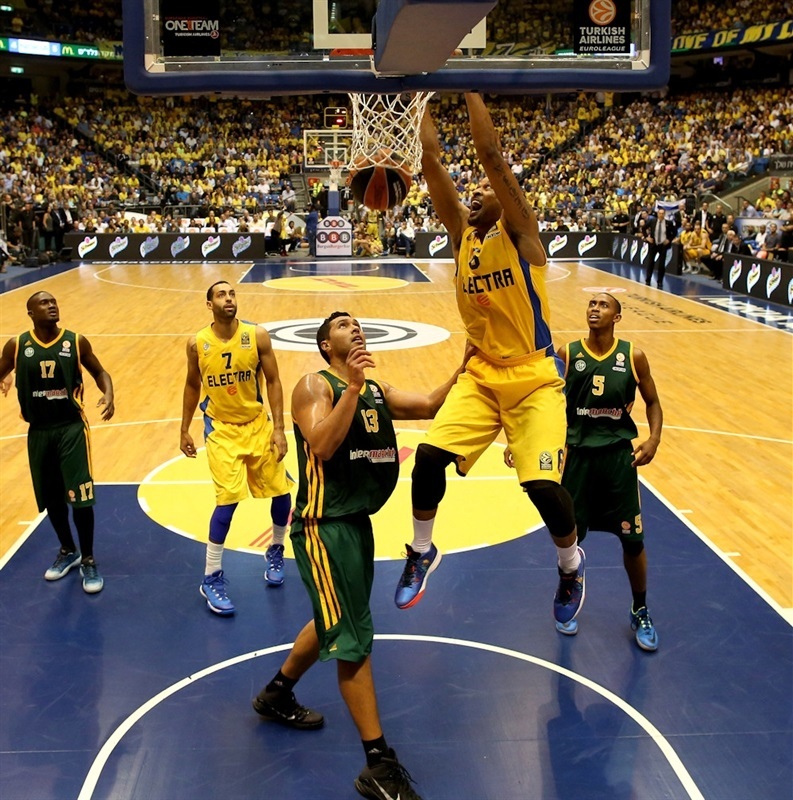 Randle and Haynes opened the second half with baskets to increase the margin back to 11 points, 48-37. But Limoges surged back with the next 11 points including a trey from the left wing by Moerman, a Westermann triple and a Jamar Reigning champ opens new season with home victory Smith fastbreak lay-up to knot the game at 48-48. Pnini snapped Maccabi’s five-minute plus scoreless stretch with a three-pointer and Haynes followed that up with a triple on the next possession for a 54-48 Maccabi advantage and a Limoges timeout. 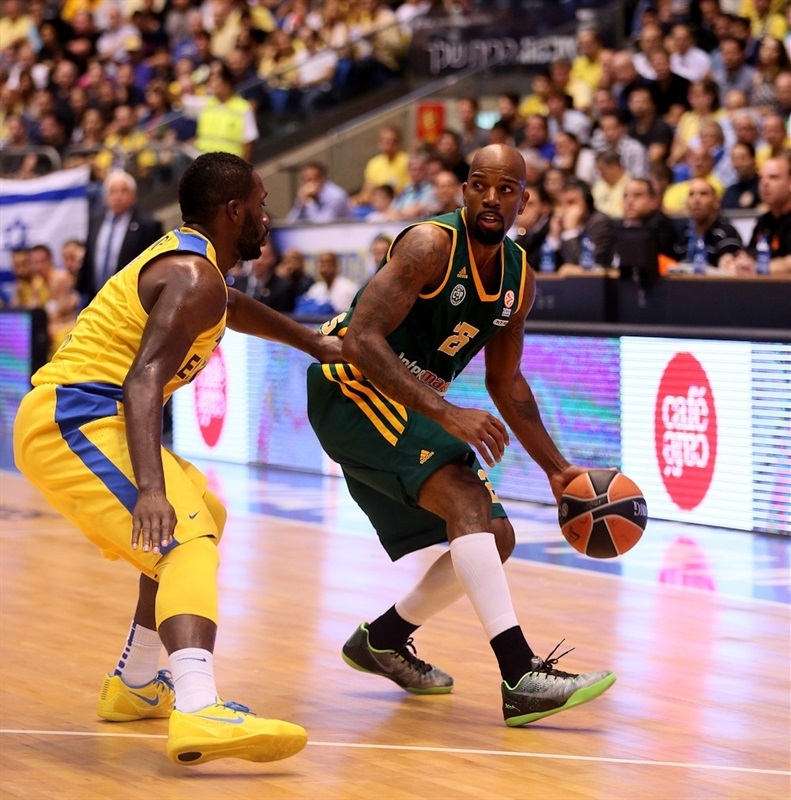 Pargo put in a tough shot to push the lead to six points, and Haynes joined Pargo in taking the lead for Maccabi with a three-pointer to make it 59-50. Pargo converted a tough layup and extra free throw, before Haynes hit a layup, then ended the third quarter with a buzzer beater off the glass from just inside half-court - finishing off a 21-7 run for a 69-55 Maccabi lead after 30 minutes. 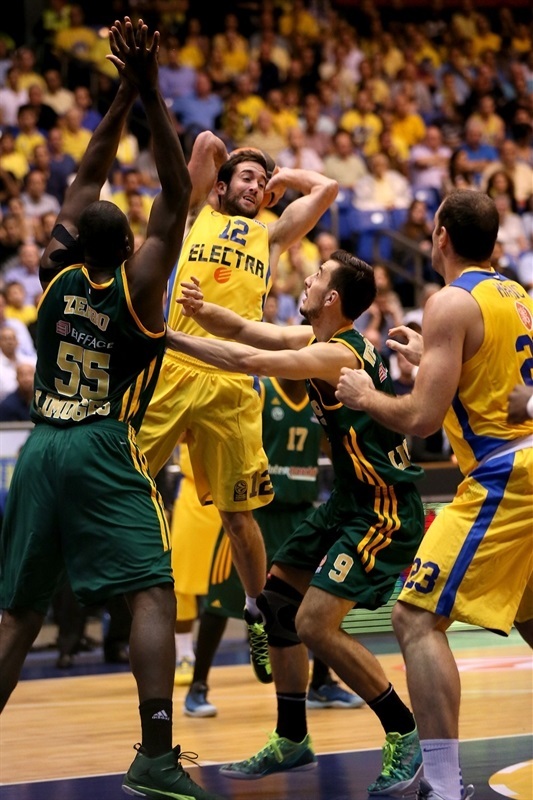 Batista opened the fourth quarter with a free throw followed by a Pargo alley-oop. Jamar Smith nailed back-to-back three-pointers to trim the deficit to 73-62 inside the eight minute mark. Pnini punched right back with a three-pointer from the left corner to re-establish a 14-point advantage. A Devin Smith had a dunk, Schortsanitis inside score, and Pnini free throw increased the margin to 81-64 with just more than four minutes to play. Limoges was not ready to give up as Batista sandwiched a put-back and a jumper around a Moerman layup, cutting the gap to 81-70. Amagou nailed two three-balls to get the advantage down to 86-76 with 1:38 minutes to play. But the visitors never got closer, as Randle ended any doubts with two dunks in the final minute. 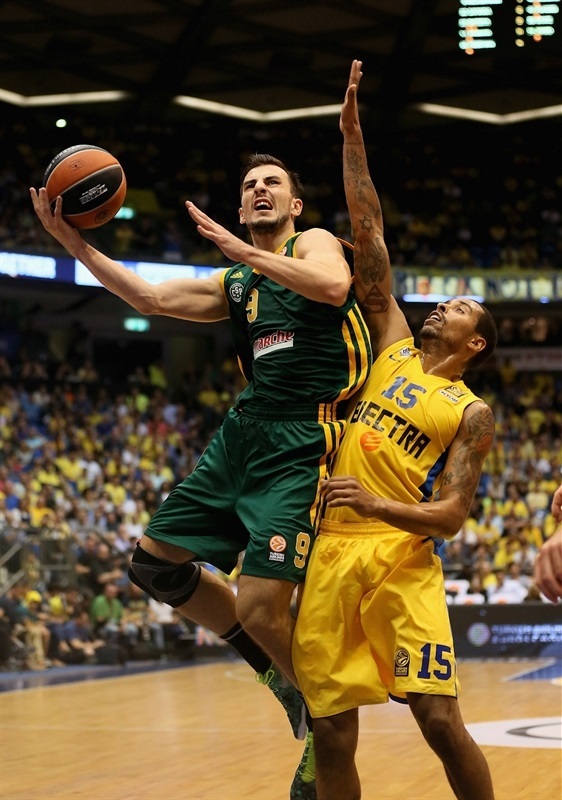 "I think we knew the importance of the game, the first game of the Euroleague at home. We wanted to start the right way. There were moments where we didn’t play tough defense but in the end I am happy with the result." "We wanted to come out strong and do our best and get a win at home. We have a big game next week so we wanted to come out and get a big win."